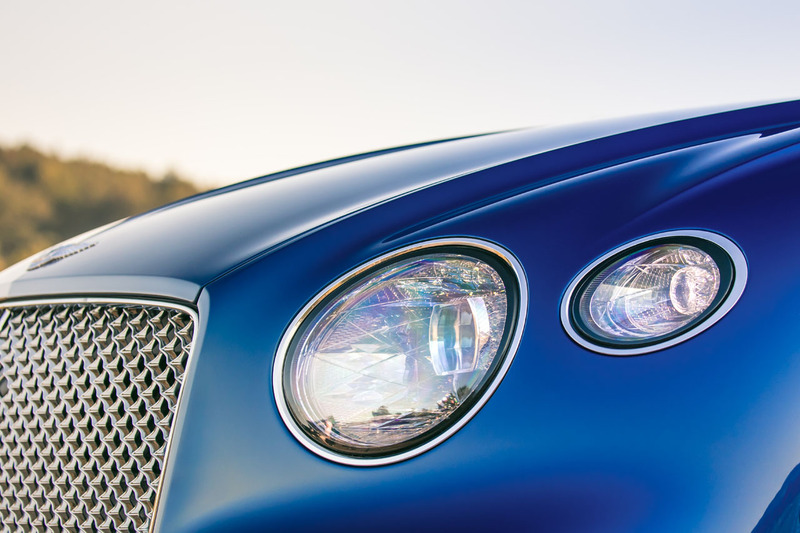 Beauty is in the eye of the beholder, but almost every car enthusiast found the original 2003 Bentley Continental GT beautiful at its inception. 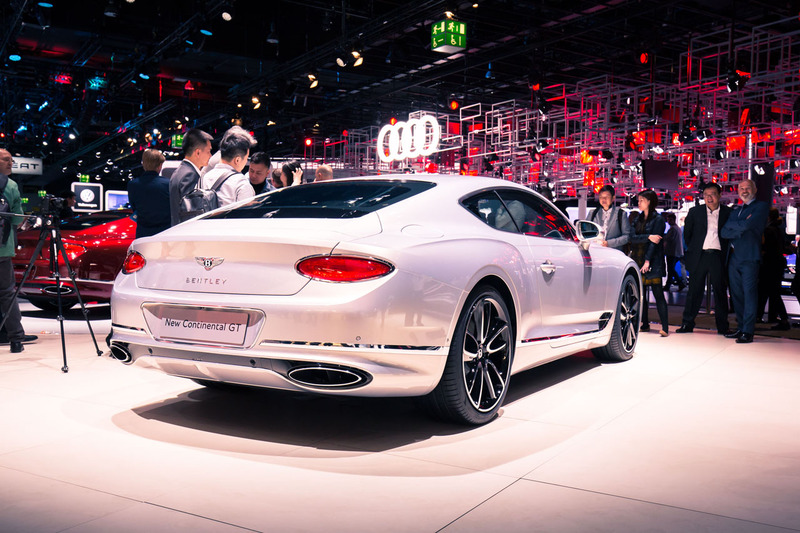 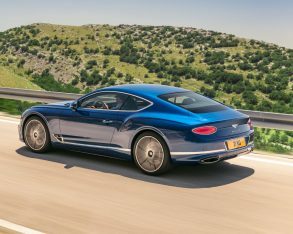 The majority would also agree that changes to the mildly redesigned 2011 version made it even more attractive, so the question remains whether history will be as kind to the all-new 2019 Continental GT. 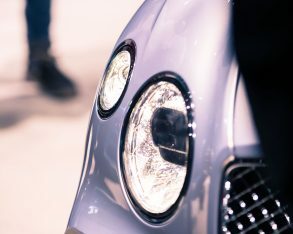 At first glance it appears the most attractive yet, and does an admirable job of paying tribute to the EXP 10 Speed 6 concept that wowed us all at the 2015 Geneva motor show. 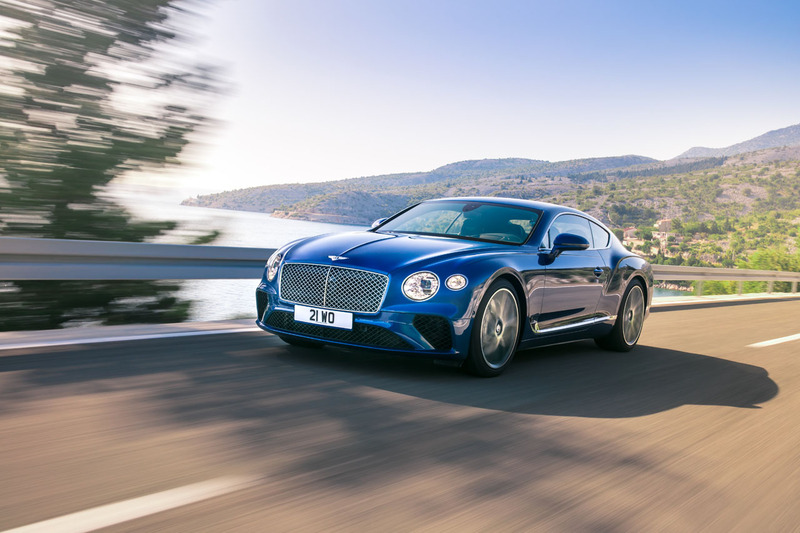 Now longer and wider yet seemingly leaner, the new Conti is gifted a certain visual litheness that its more upright, bulkier predecessor lacked. 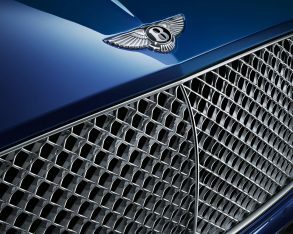 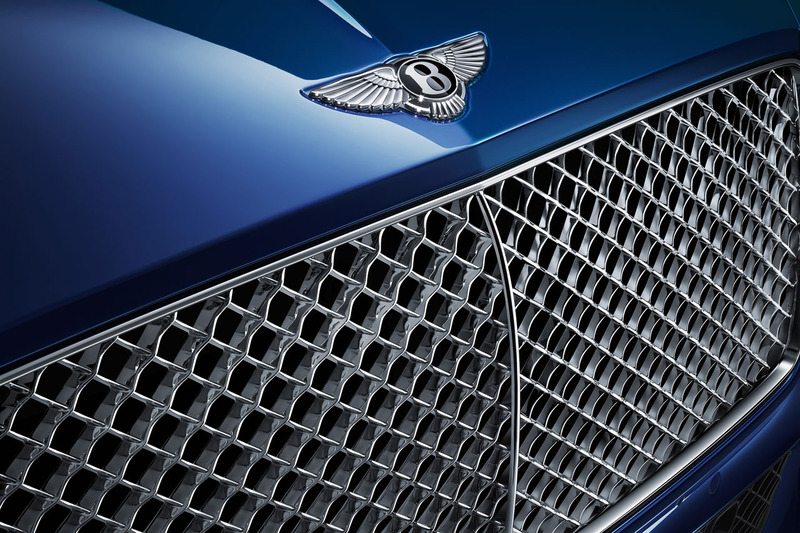 Ahead of a lengthier, lower hood the grille has grown too, or at least it’s been stretched horizontally, while larger circular headlamps at each side sparkle with Bentley’s crystal cut glass design. 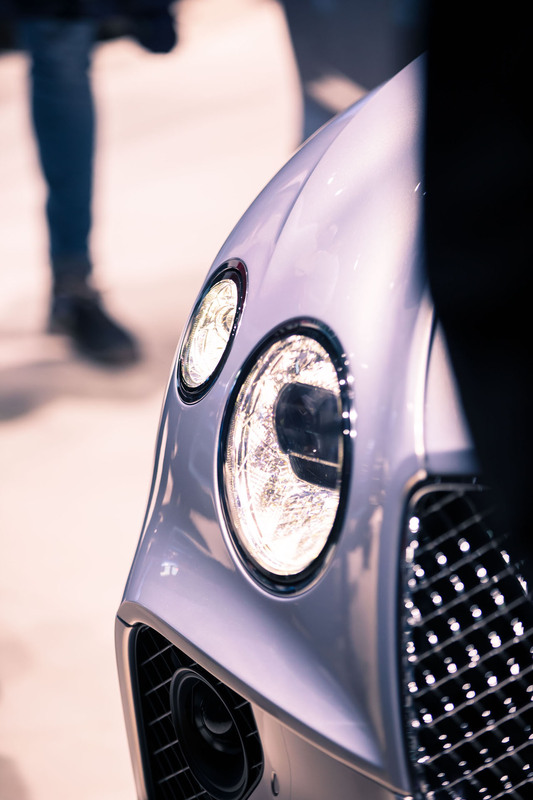 Mixed with this elegant glassware is a lower front fascia featuring open wheel motorsport-inspired front wing-like aerodynamics, including two angled struts holding up a razor thin splitter that frames three much larger engine and brake vents above. 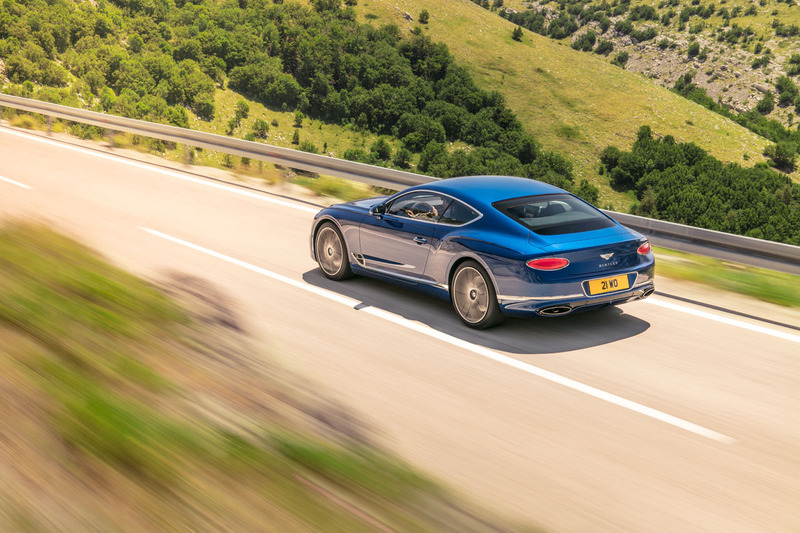 We saw this level of aggression from the previous Supersports, but not with the regular Continental GT. 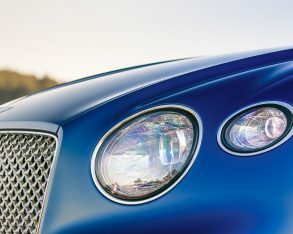 Bentley continues its bigger is better theme rearward, with the previous car’s “B” shaped engine vents enlarged and moved from the upper front fender down to just above the sills, these now forming the beginnings of a thick new chromed baseline that spans the doors, jumps the rear wheel cutouts, and wraps around the majority of the back bumper. 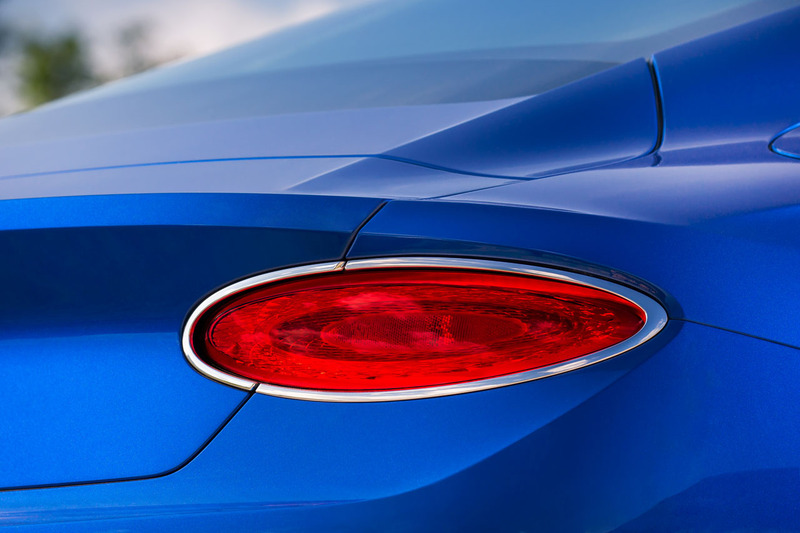 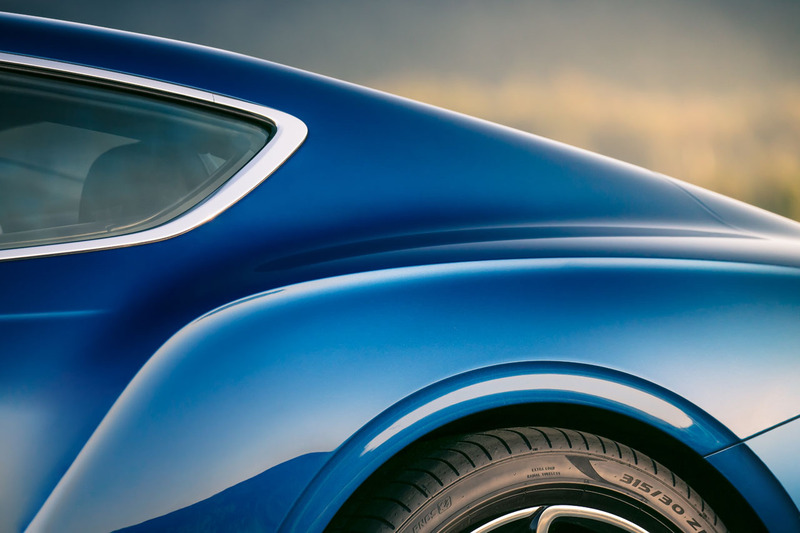 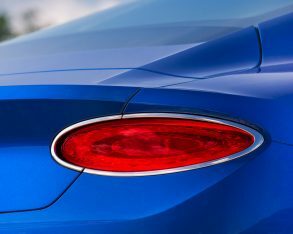 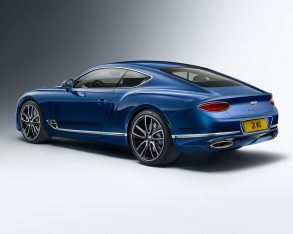 Muscular rear haunches, now sculpted from lightweight superformed aluminum as is most of the car’s skin—superforming a process that allows for large, nearly seamless one-piece panels of smooth, creased and folded aluminum fit to perfection—continue to play a prominent role in the Continental GT’s rear design, but the sweptback glass is now wider and flatter, the C-pillars not tapering inward as much and rear fenders sweeping upward to the deck lid, rather than downward overtop the taillights. 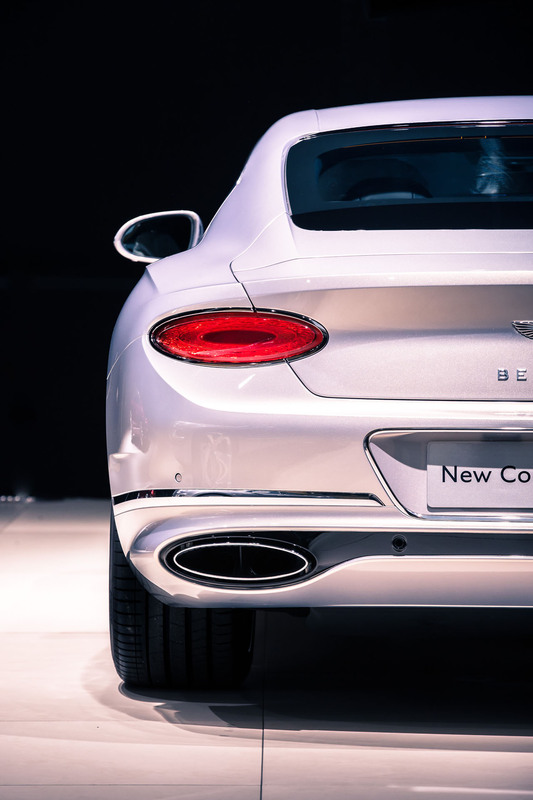 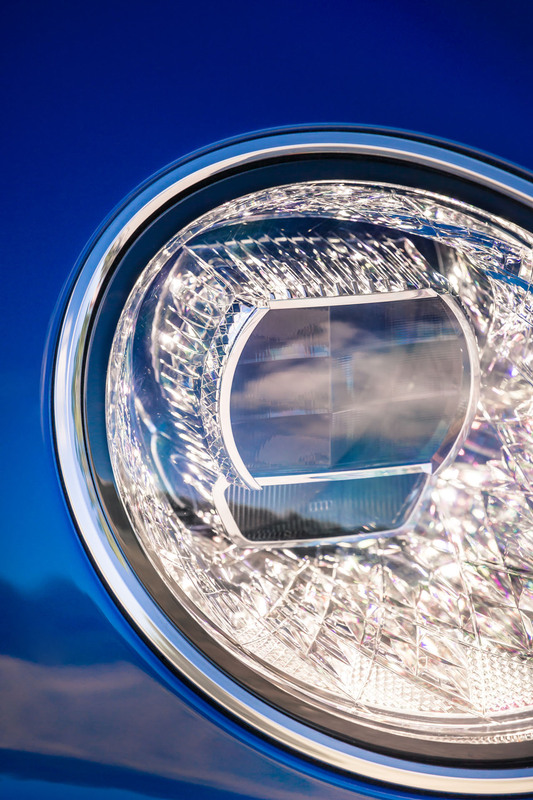 Rear lighting in mind, these lamps might be the most dramatic departure from the previous design, the big, broad, rectangular lenses with dual-oval innards from the old car now replaced by a single, smaller, simpler oval element to each side. 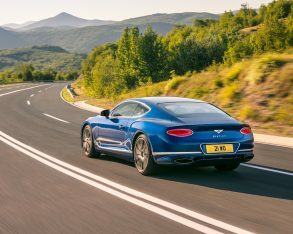 While dramatically different from front to back and head to toe, the new GT is still more evolution than revolution, at least when compared to Aston Martin’s new Vantage that seems to have completely rewritten the competitive brand’s style sheet. 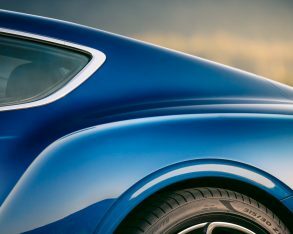 Like that Vantage, the new Conti is more visually athletic, but unlike this key challenger it still maintains traditional British elegance. 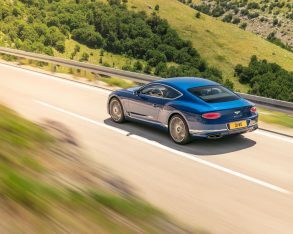 Part of its luxury equation is sheer size, the new Continental GT even larger than its already substantive predecessor. 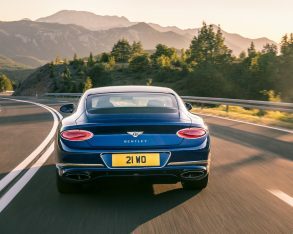 It’s now 44 millimetres (1.7 inches) longer than the outgoing model, with 105 mm (4.1 inches) of added wheelbase thanks to a 129-mm (5.1-inch) forward extension of the front axle, while it grows from side to side by just 10 mm (0.4 inches) and remains virtually identical in height (it’s taller by 1 mm or about 1/32nd of an inch), all of this growth opening up the interior for greater space and comfort. 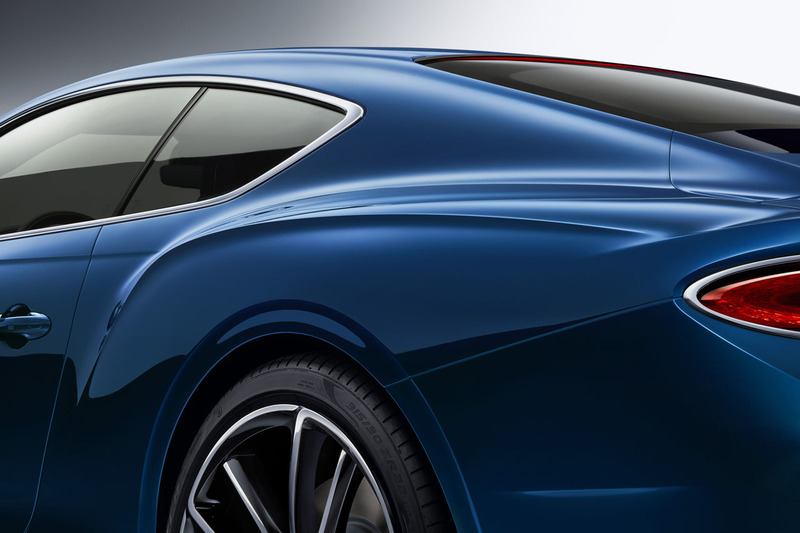 Despite its dimensional increase the new model loses more than 75 kilos (almost 170 pounds) of girth thanks to greater use of those aluminum panels mentioned earlier, bringing its curb weight down to 2,244 kg (4,947 pounds). 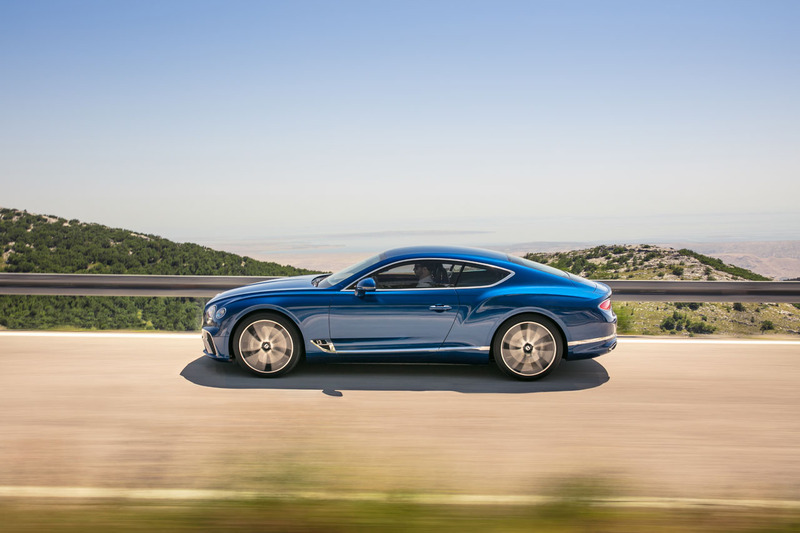 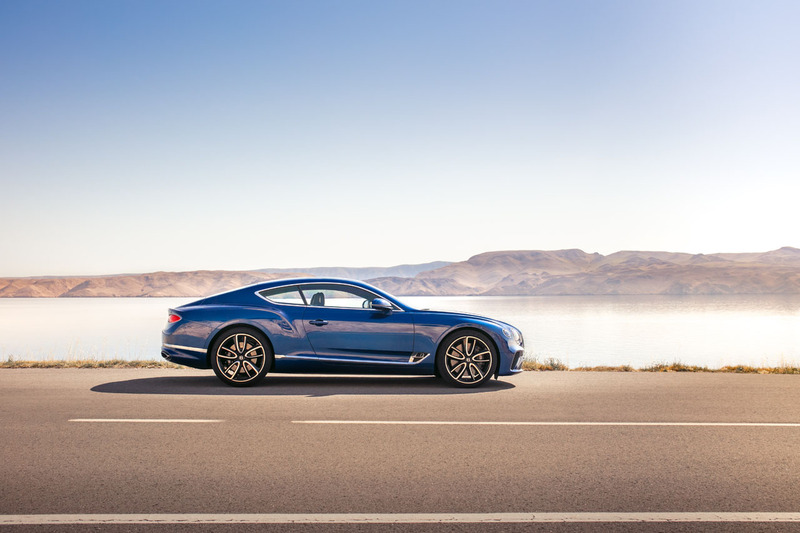 Unlike the EXP 10 Speed 6 concept mentioned earlier, the four-seat production Continental GT is not powered by a hybrid drivetrain, but nevertheless gets a highly advanced powertrain filled with performance and efficiency tech. 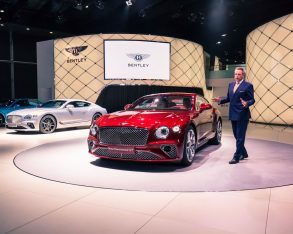 The new 6.0-litre W12 TSI, first introduced with the Bentayga SUV, should not be confused with the outgoing 6.0-litre W12, as it not only uses the previous engine’s low pressure TMPI multi-point manifold injection to fuel its cylinders, but in fact incorporates a dual combustion process that allows for the Audi-developed FSI high pressure direct-injection system as well. 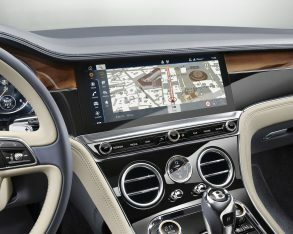 On top of this it utilizes twin-scroll bi-turbocharging, individual cylinder bank deactivation when cruising or coasting, APS coated cylinder bores, integrated temperature management for the cooling system, an auto start/stop system that shuts the engine off when it would otherwise be idling, and to top it all off it’s 30 kilograms (67 lbs) lighter. 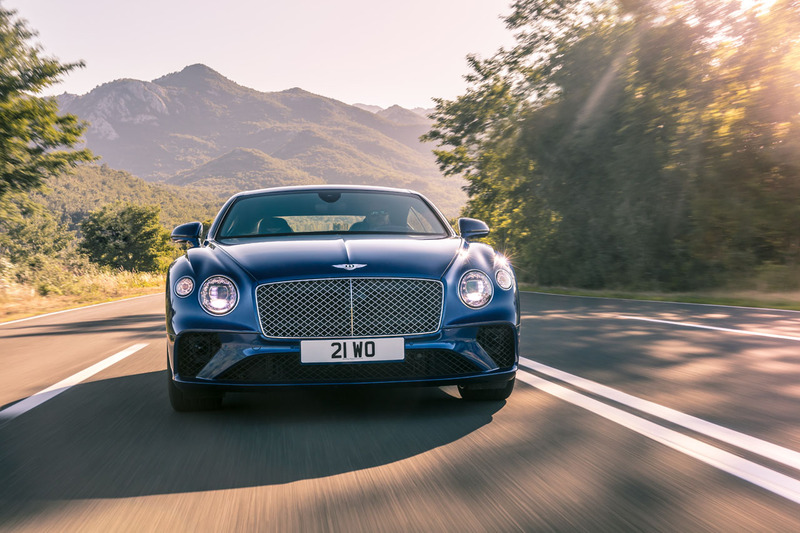 Output is up a sizeable 44 horsepower over the old Conti’s W12 to 626 hp, plus torque has increased by an even more impressive 133 lb-ft to 664. 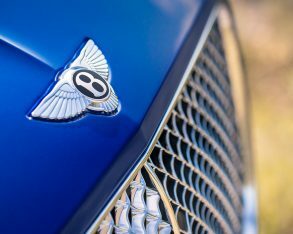 Official Transport Canada fuel economy figures have yet to be announced, but it’s already been billed as the most economical 12-cylinder engine in the luxury category thanks to its use in the Bentayga as well as internal testing with the Continental GT that shows 12.2 L/100km combined city/highway, a considerable improvement over the outgoing car’s 14.2 L/100km average. 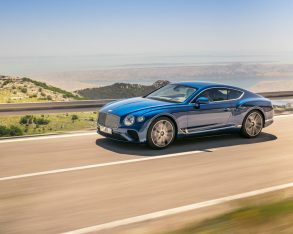 No doubt the new eight-speed dual-clutch automated transmission is partially responsible for the engine’s efficiency, its shift increments likely quickened over the old automatic’s performance as well, which should liven up the new model’s road and track dynamics, although we expect seamlessly smooth operation as well. 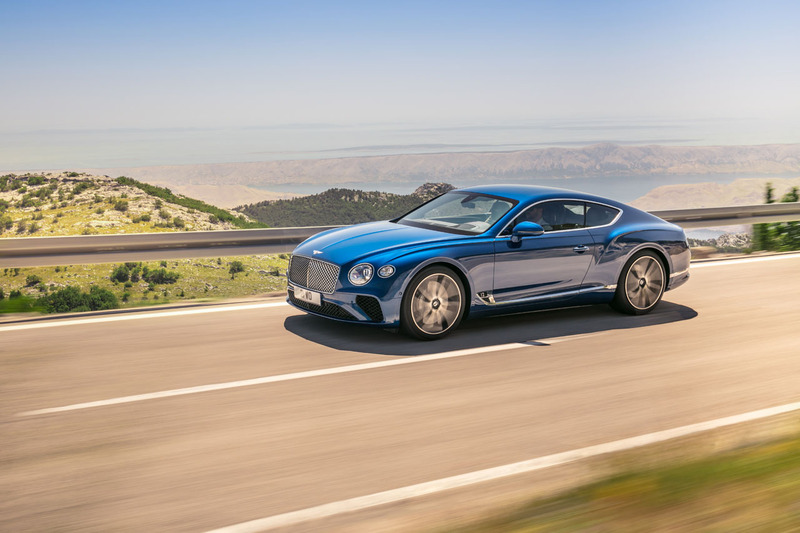 Getting off the line in mind, the new GT’s standstill to 100km/h sprint time has been reduced by a shocking 0.8 seconds from 4.5 to 3.7 seconds, while it now reaches a 333-km/h (207-mph) top speed. 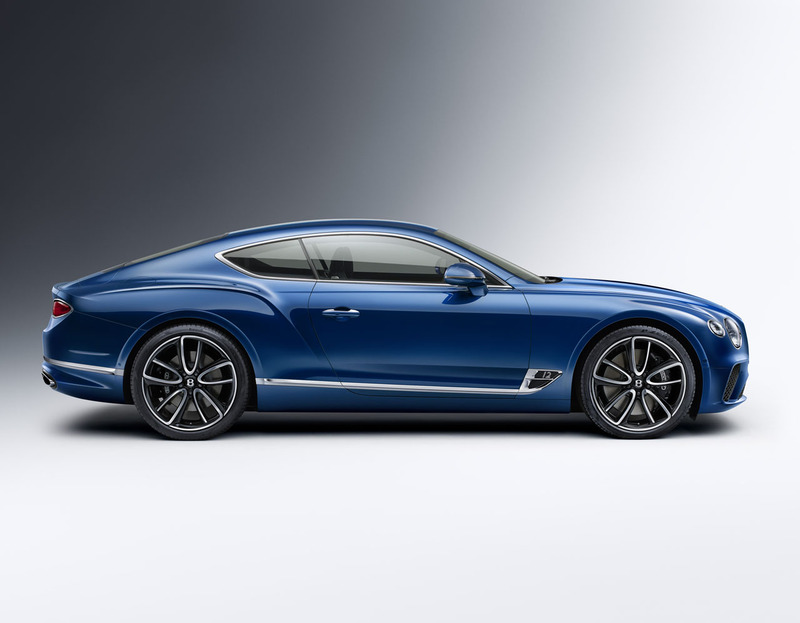 That’s an astonishing improvement, vaulting an already fast grand touring coupe into supercar territory. 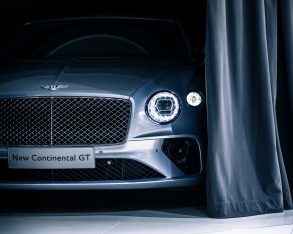 In fact, the new Conti is almost as quick as the outgoing 700-hp Supersports model, which is capable of zero to 100km/h in just 3.5 seconds before attaining a top speed of 336 km/h (209 mph)—there’s also a 633-hp version of the old W12 that hightails it to 100km/h in 4.1 seconds, albeit still slower than the new model. 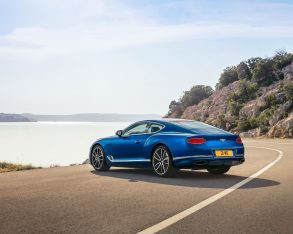 It doesn’t take too much imagination to contemplate just how quick a Supersports version of the new car might be, but we’ll have to wait a little longer to find out. 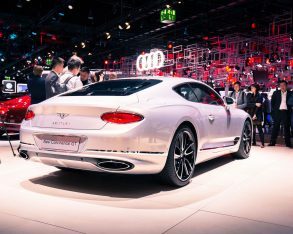 We should also expect a V8-powered base model, which will quicken acceleration over its predecessor as well. 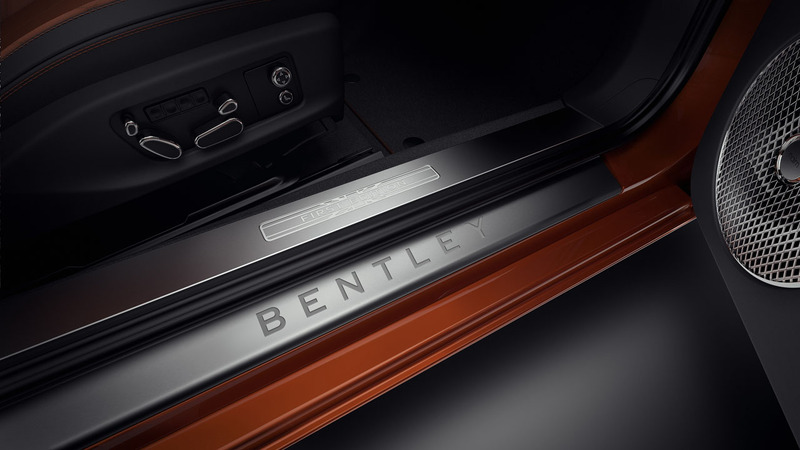 Aiding performance, the lighter W12 TSI sits 50 mm (1.9 inches) farther rearward for more advantageous 55:45 front-to-rear weight distribution (it was previously 58:42). 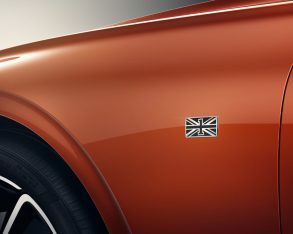 This also makes for less weight over the front axle, which should provide freer steering and a lighter feel overall. 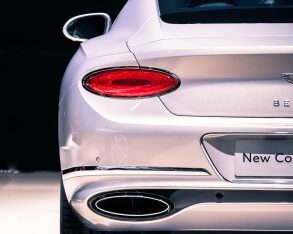 To be clear, the new GT no longer uses Volkswagen’s D1 chassis architecture shared with the same parent automaker’s namesake 2002–2016 Phaeton full-size luxury sedan, but instead gets VW Group’s new MSB platform, which has already impressed us numerous times while underpinning the latest Porsche Panamera, this boding very well for the big Bentley two-door. 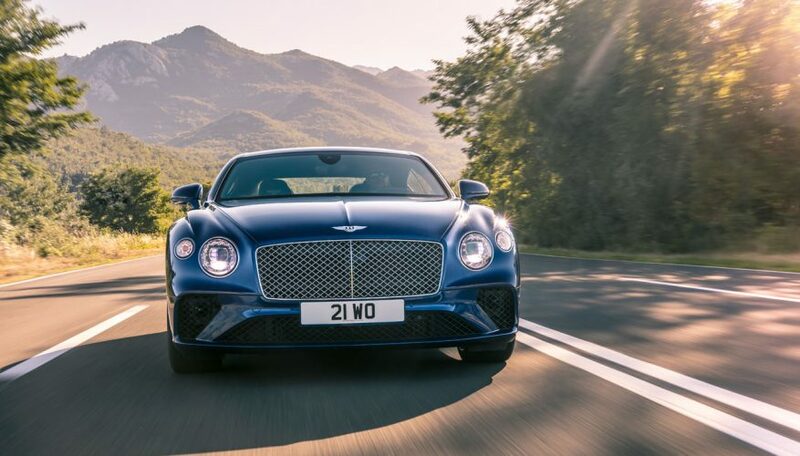 Like the old GT the new model gets standard all-wheel drive, but where the outgoing car’s torque split was permanently locked at 40:60 front-to-rear, the new model is primarily driven by its rear wheels, only directing twist to those in front when slippage occurs. 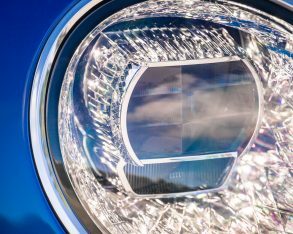 Up to 38 percent of available torque can be repurposed up front when needed, although when set to Sport mode that number is decreased to just 17 percent. 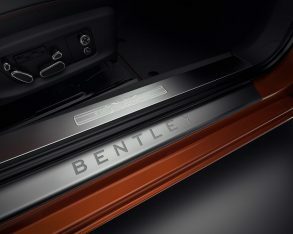 Special 48-volt active anti-roll bars, also used with the Bentayga first, assist fast-paced handling by resisting body roll, pitch, and dive at each wheel, their effectiveness dependent on the selectable driving mode chosen. 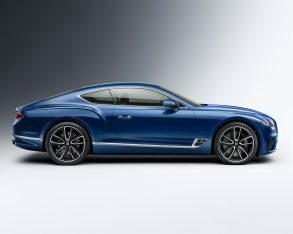 The Dynamic Ride system works in conjunction with the updated air suspension, resulting in a car that’s reportedly flatter through corners than the previous model, yet still capable of providing the cushioning ride quality Continental GTs are renowned for when in Comfort mode, its new three-chamber air springs breathing in 60 percent more volume when set to its supplest setting. 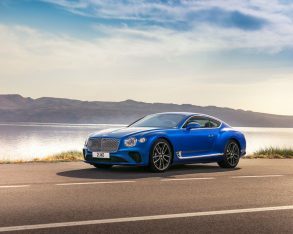 Additionally, standard brake-based torque vectoring applies caliper-to-rotor pressure individually to limit understeer and oversteer and therefore aid high-speed stability further, this previously only offered with the aforementioned Supersports and ultra-performance GT3-R model. 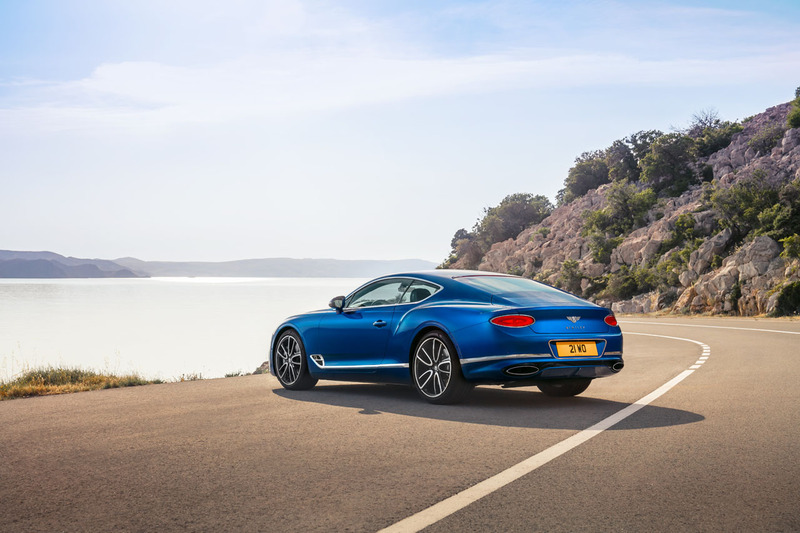 Braking is mastered by a set of 420 mm rotors with 10-piston calipers up front and 380 mm discs with four-piston calipers in the rear, with a carbon ceramic set optional, and in case you were wondering, Z-rated Pirelli rubber measuring 275/35 up front and 315/30 in back keep this big GT glued to the road. 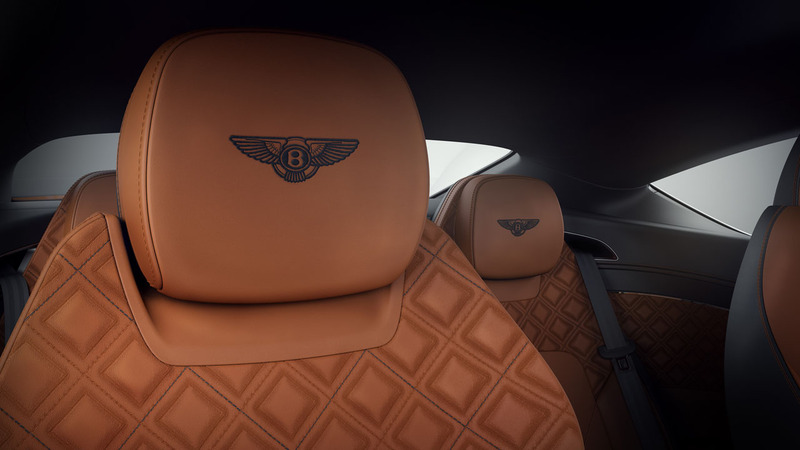 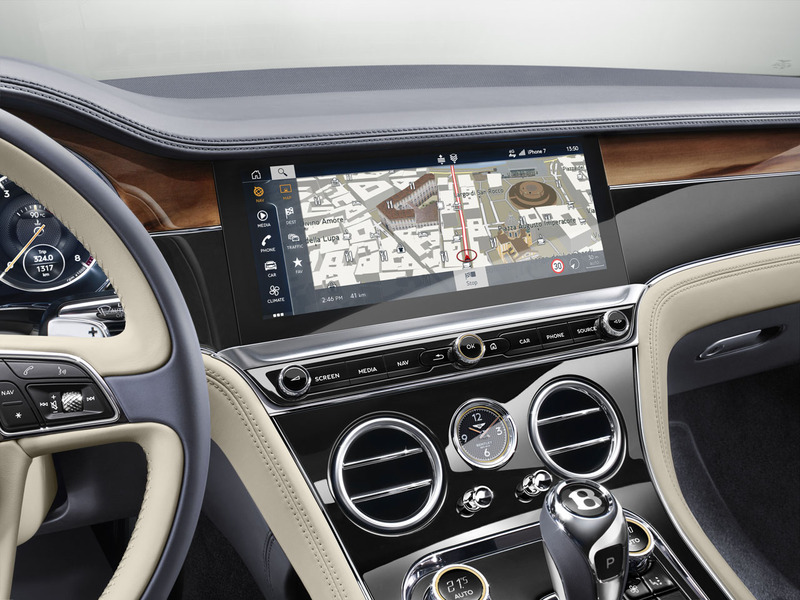 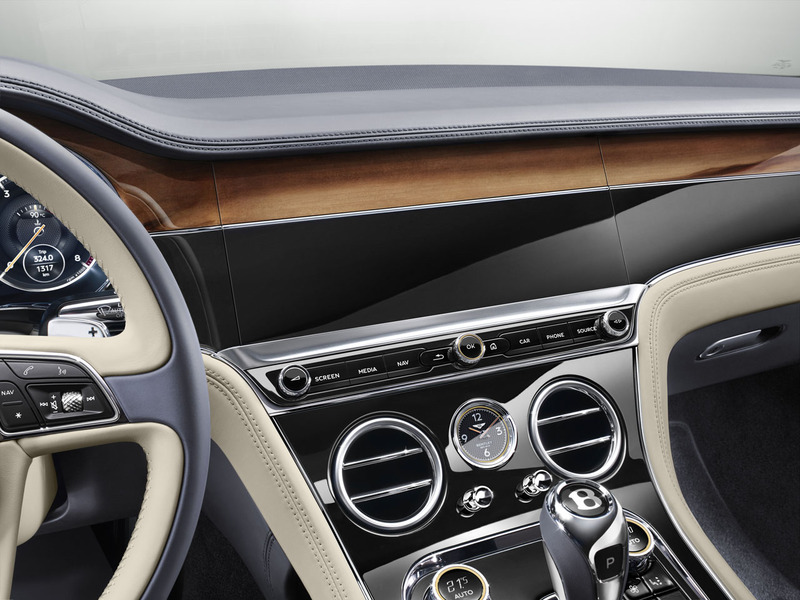 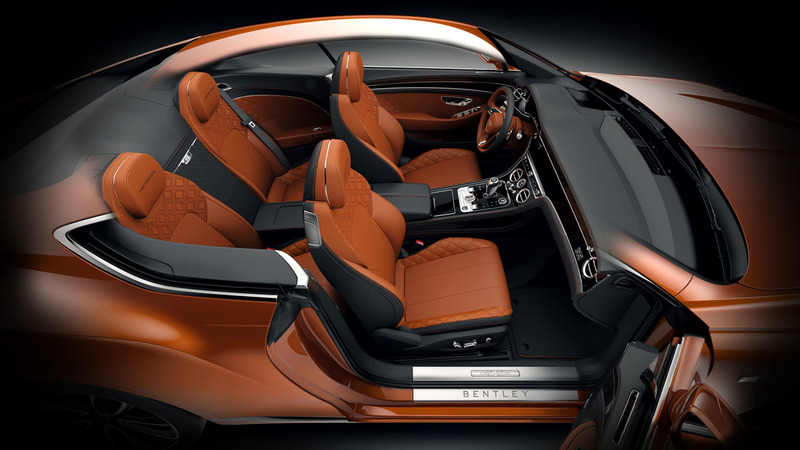 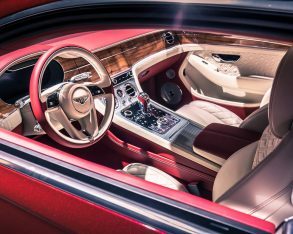 Saving what might possibly be the best for the last, the new Continental GT’s interior may be the big differentiator that causes ultra-luxury buyers to choose a Bentley over one of the brand’s rivals. 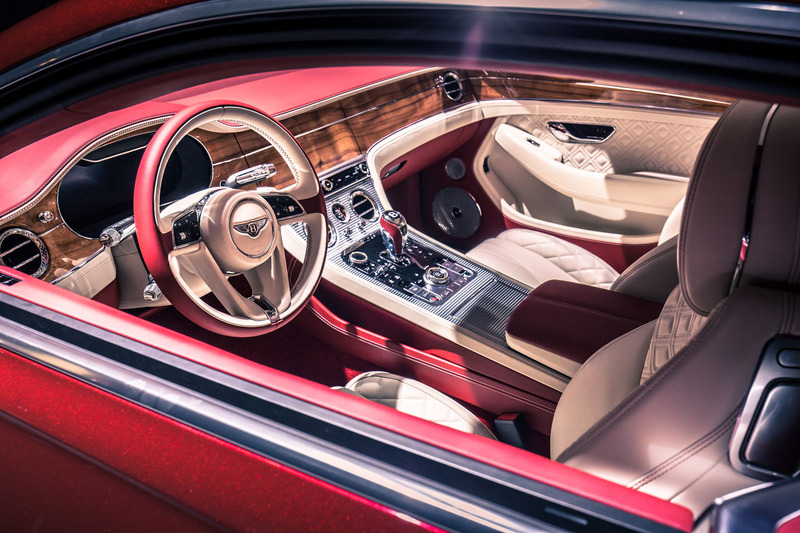 The word exquisite hardly does it justice, with the new Conti receiving a horizontally themed interior design that makes for a wider more open ambiance. 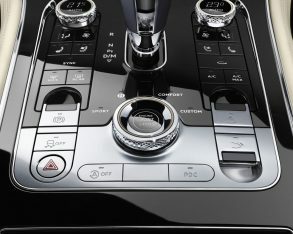 It’s at once modern and advanced, yet retrospective in its approach thanks to the latest Audi Virtual Cockpit-inspired high-definition gauge cluster (capable of showing navigation, audio, communication, vehicle data, etcetera) and infotainment displays regarding the former, and beautiful sustainably sourced hardwood veneers, piano black lacquers, metals and leathers with respect to the latter. 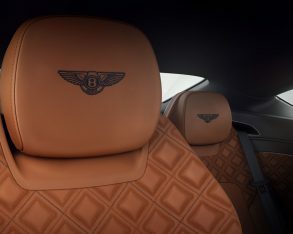 Even better, Bentley allows you to pay a little extra if you want even more hardwood (there’s a total of 10 square metres in each car, all of which requires nine hours of labour from the process of matching the grains to hand-fitting the inlays), black lacquer and metal trim added to the forefront of the instrument panel, all of which hides the 12.3-inch centre display behind a uniquely powered panel when turning off the ignition, resulting in an even more classic interior design that won’t age with time, as even this state-of-the-art Apple CarPlay-infused electronic interface eventually will. 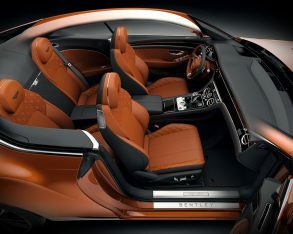 It’s dubbed the Bentley Rotating Display, and upon start-up the triangular-shaped merry-go-round rotates via two electric motors and 40 moving parts to reveal the touchscreen, after which pressing the “SCREEN” button on a strip of analogue switches just below spins it around a third time, exposing three beautiful analogue dials for reading the ambient temperature, compass directions, and chronometer times. 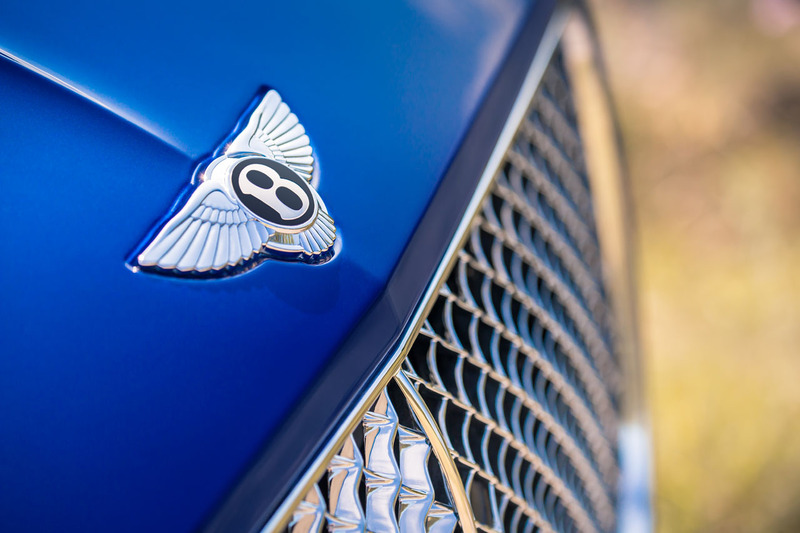 Back to modern tech, Bentley offers a bevy of advanced driver assistance systems such as lane keeping assist, blindspot monitoring, adaptive cruise control, night vision, traffic sign recognition, and a full-colour head-up display. 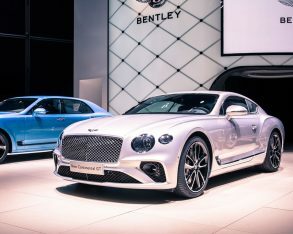 Lastly, a standard 650-watt, 10-speaker audio system can be upgraded to a 1,500-watt, 16-speaker Bang & Olufsen design with illuminated speaker grilles, or better yet a 2,200-watt, 18-speaker Naim system includes Active Bass Transducers fitted within the front seats for reproducing concert hall sound quality. 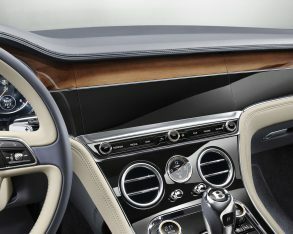 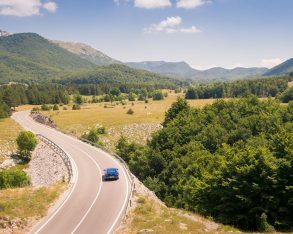 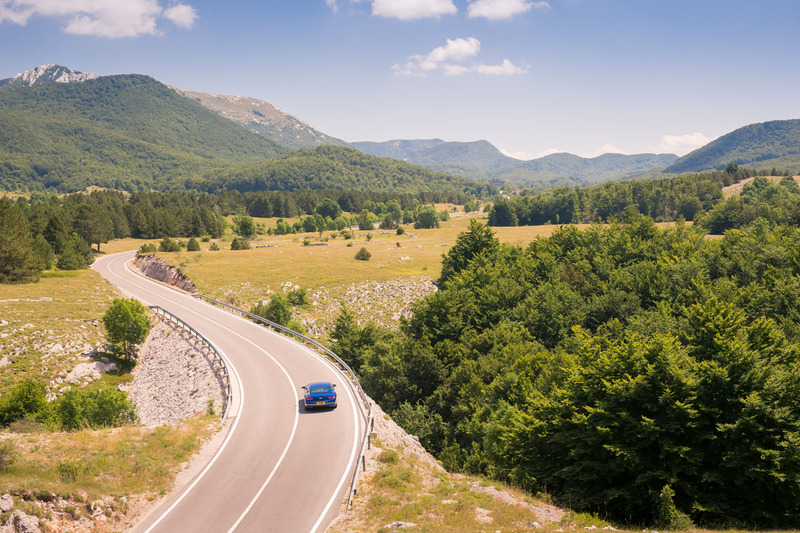 The interior is quieter than the outgoing car’s too, thanks to a laminated acoustic glass windshield and side windows, which is said to reduce exterior noise by up to nine decibels. All of the interior switchgear appears much improved over the outgoing model’s buttons, rockers, knobs, and dials too, not to mention vent bezels and stoppers. 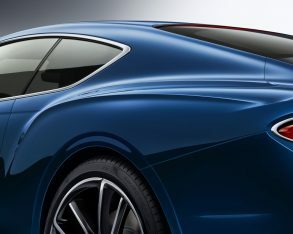 Some is made from black composite (now glossy instead of matte), some aluminized, and others continuing forward with even more exquisitely detailed diamond knurled metal edging than in the previous car. 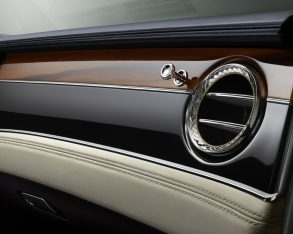 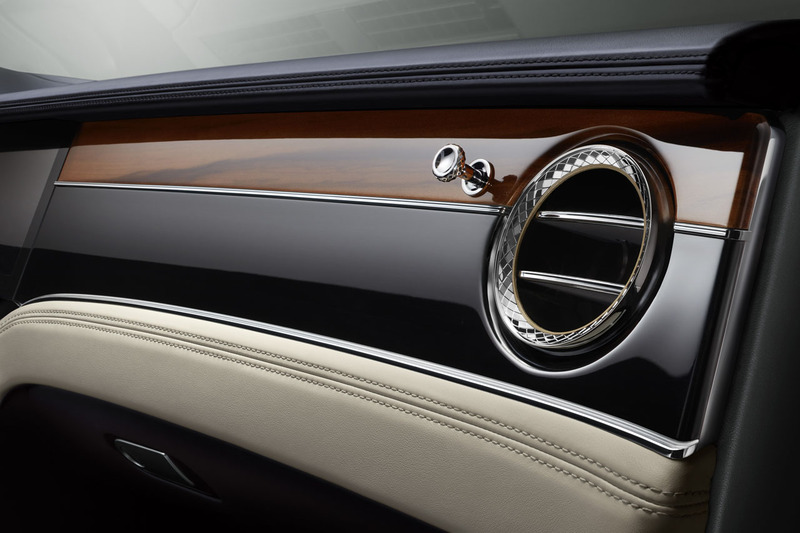 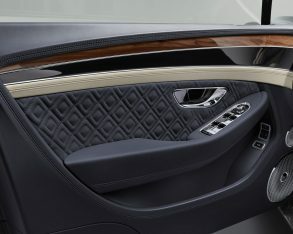 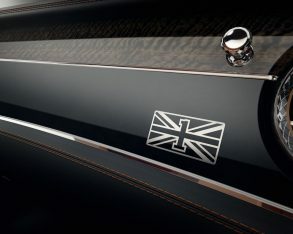 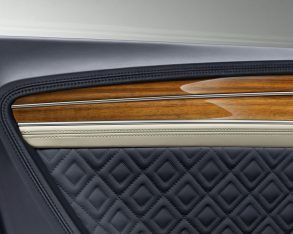 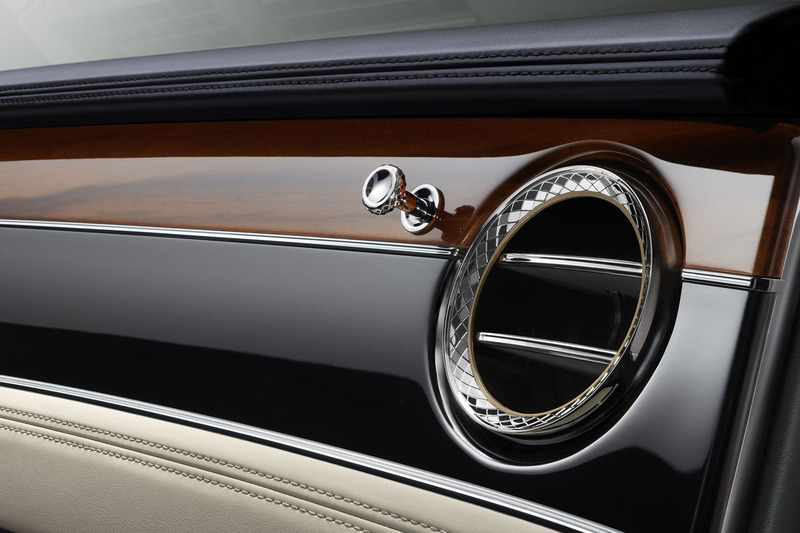 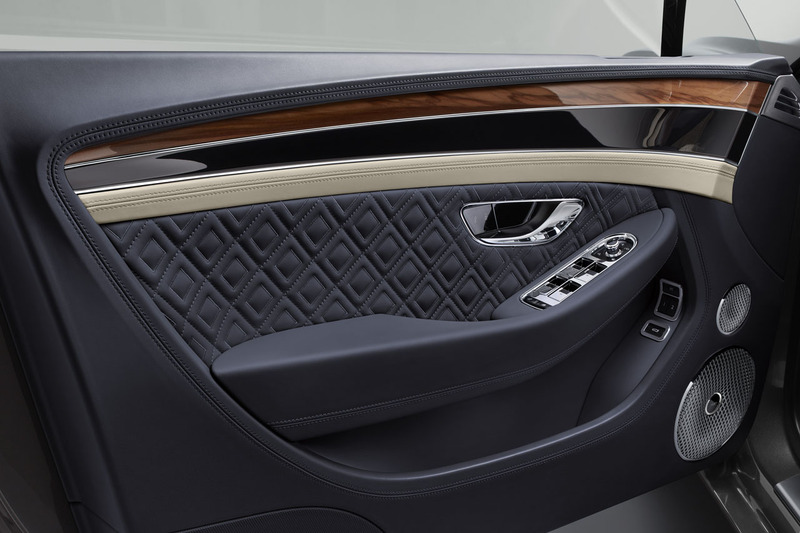 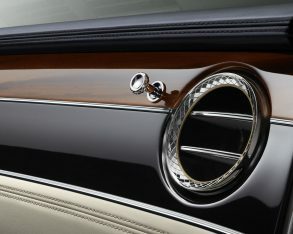 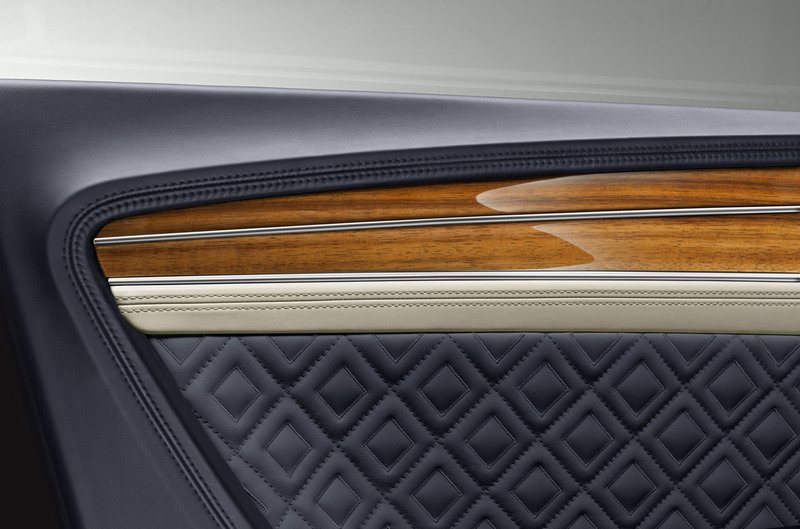 Speaking of diamonds, Bentley’s artisans reportedly spent more than a year developing the process to stitch its new double-diamond quilted door panels together, which if you to peel away from their fastenings would expose the signatures of those who did the needlework. 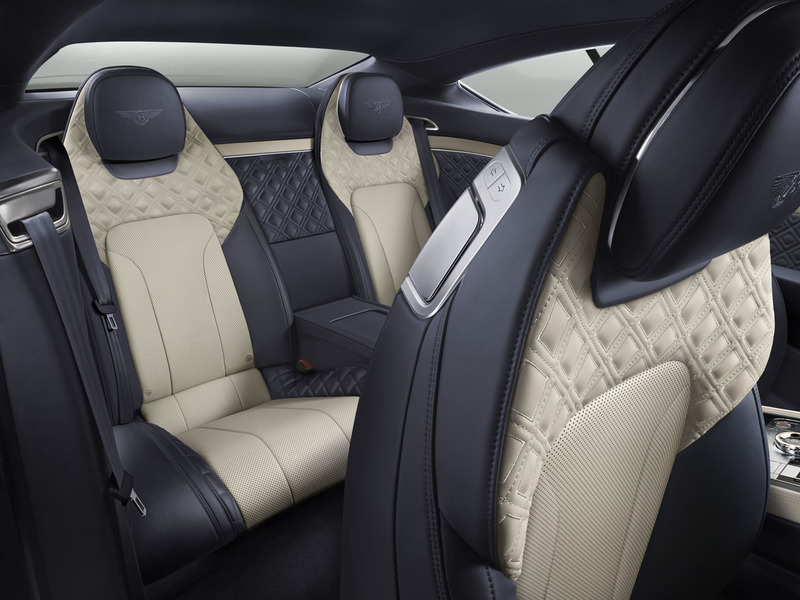 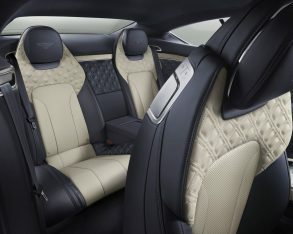 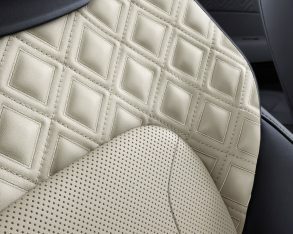 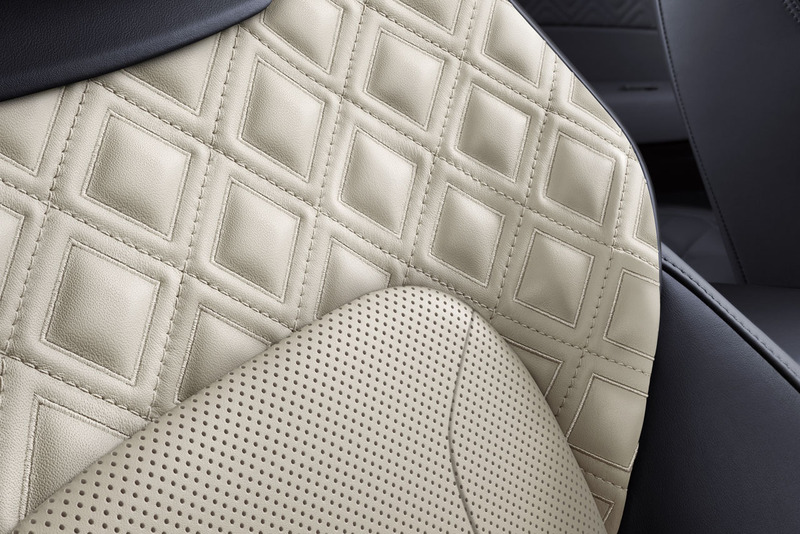 The 20-way adjustable front seats can be diamond-quilted too, with each diamond similarly needing 712 stitches to complete. 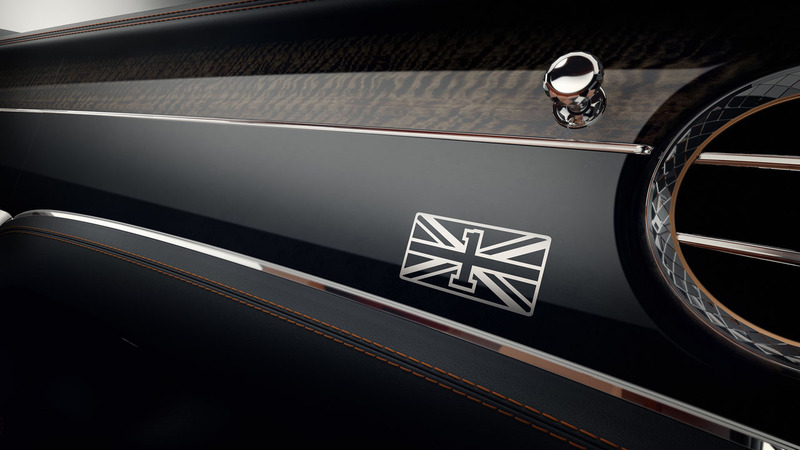 What’s more, the Conti’s vast options menu includes a Côtes de Genève (Geneva stripes) textured metal finishing for the centre console, which has its roots in the fine Swiss mechanical watchmaking industry. 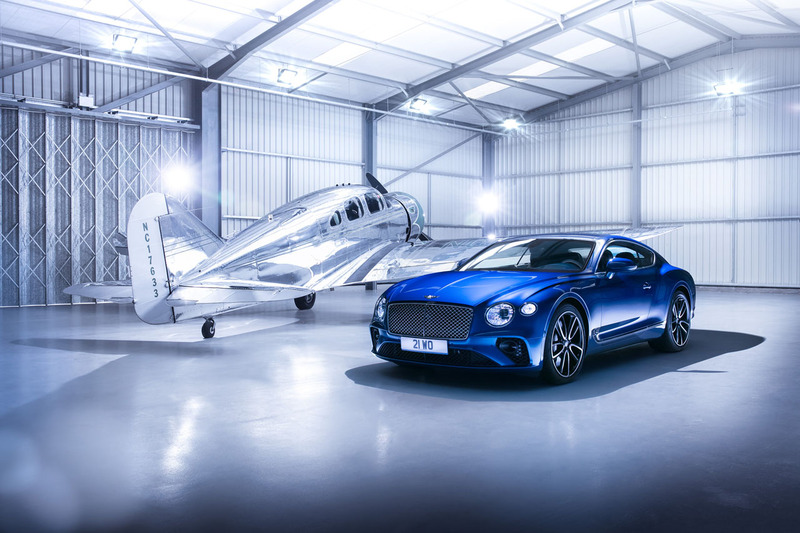 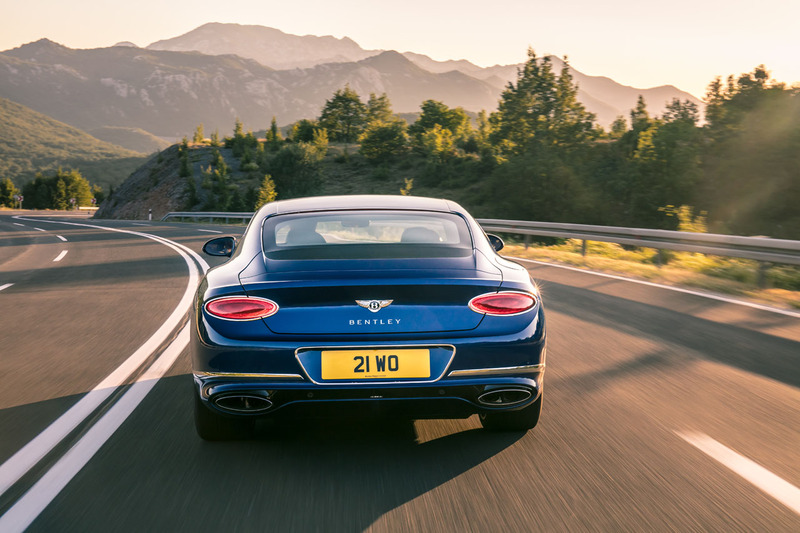 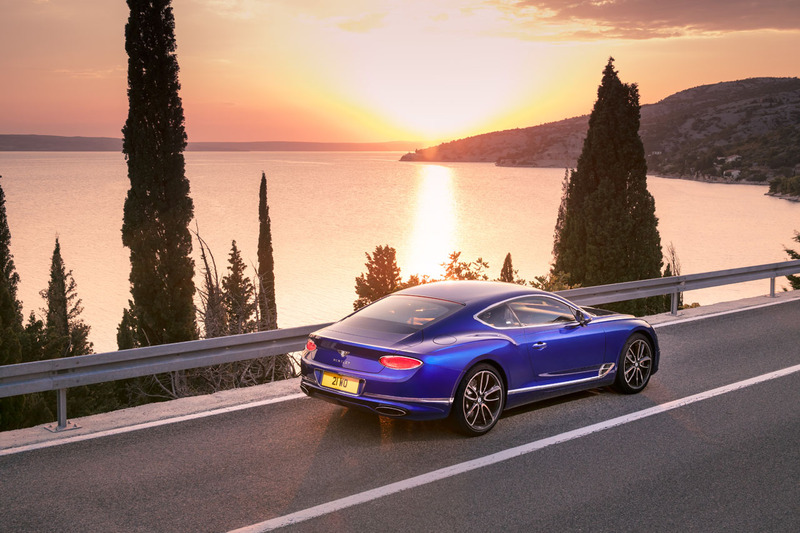 More than 70,000 Continental GTs have been sold throughout the world over the past 15 years, and thanks to this impressive redesign we think Bentley may do even better over the next decade and a half. 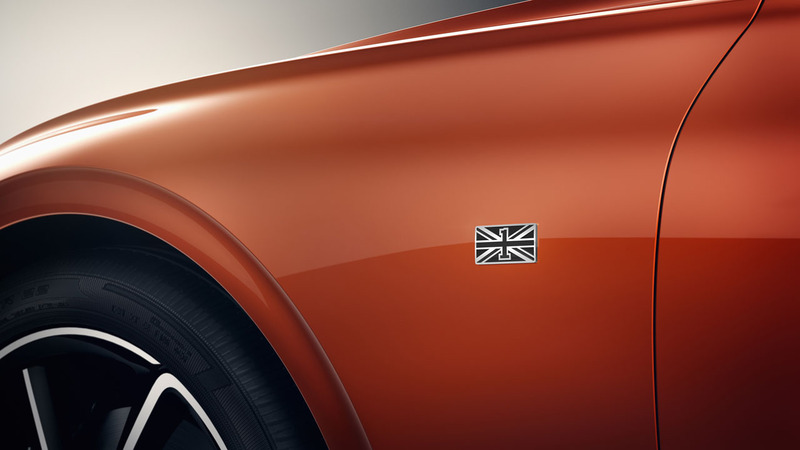 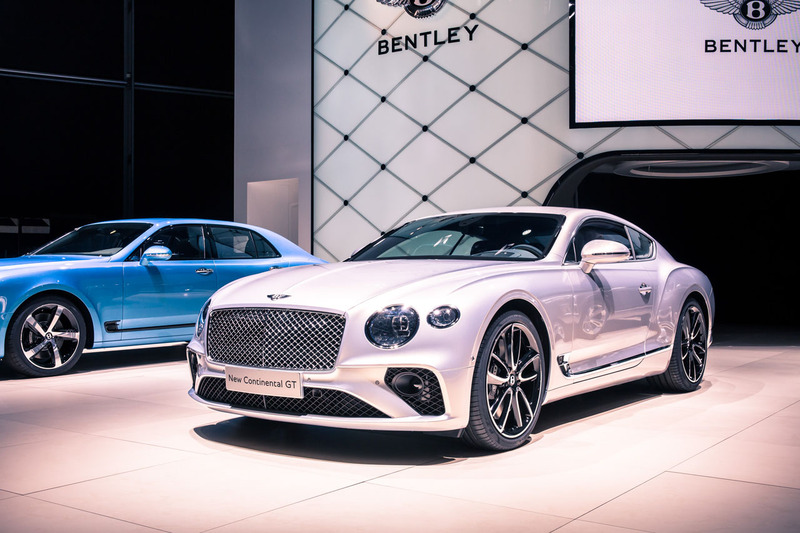 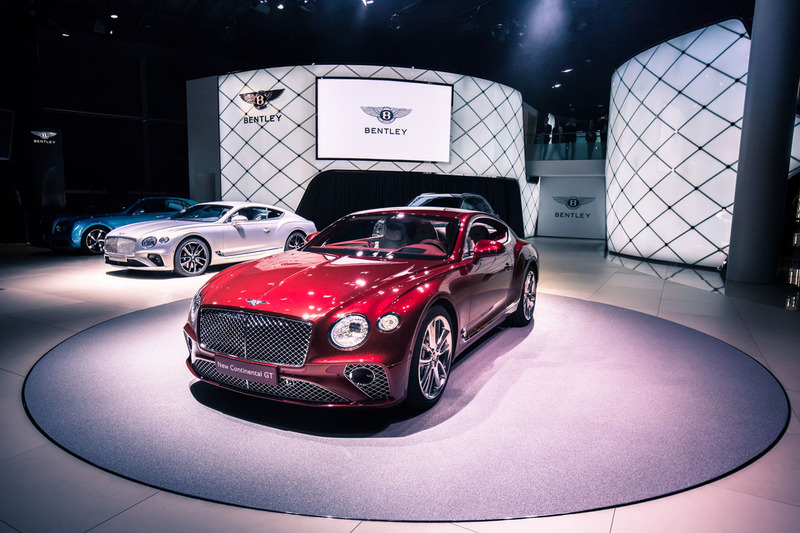 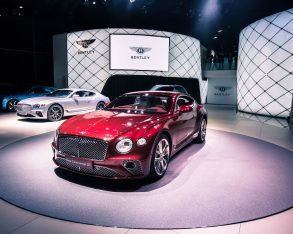 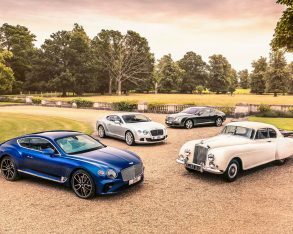 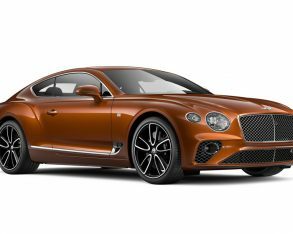 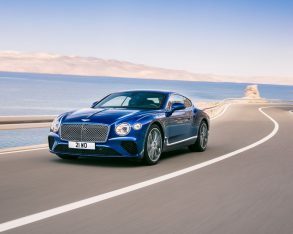 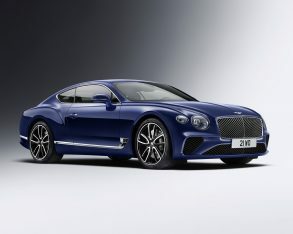 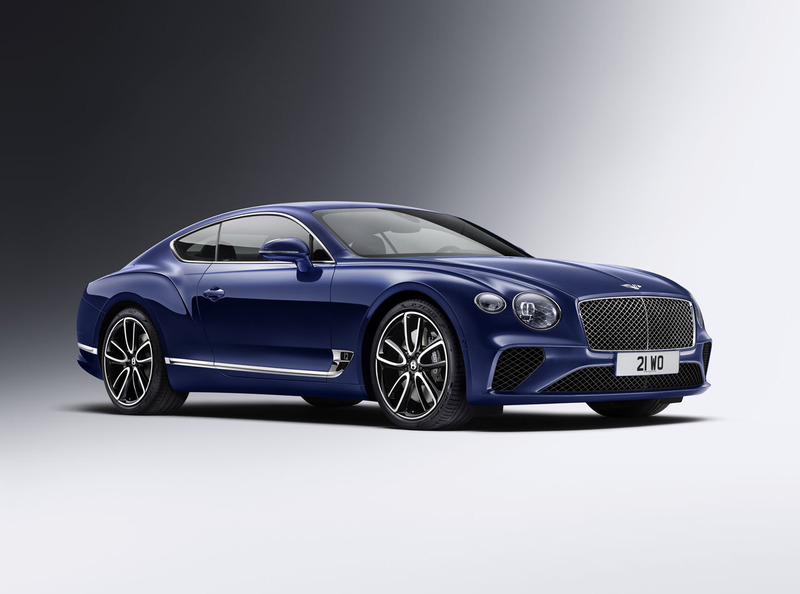 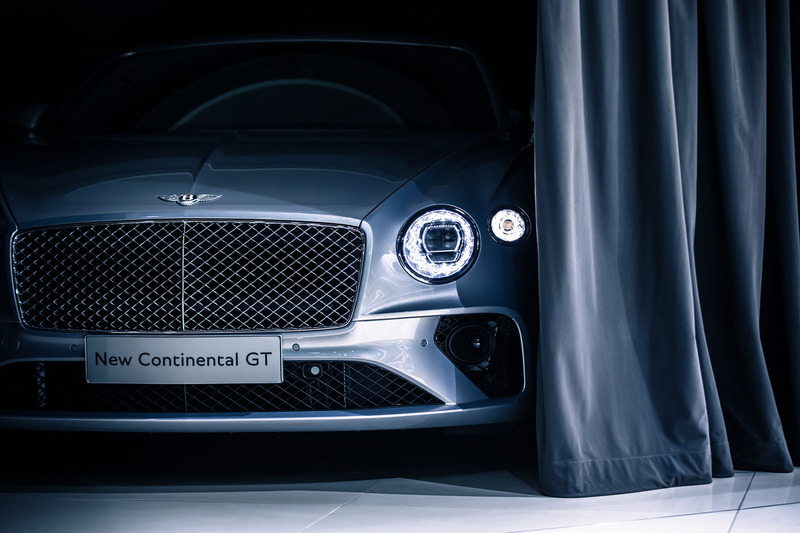 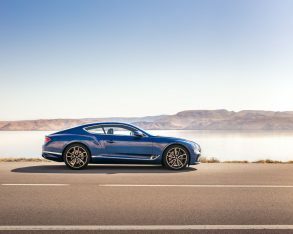 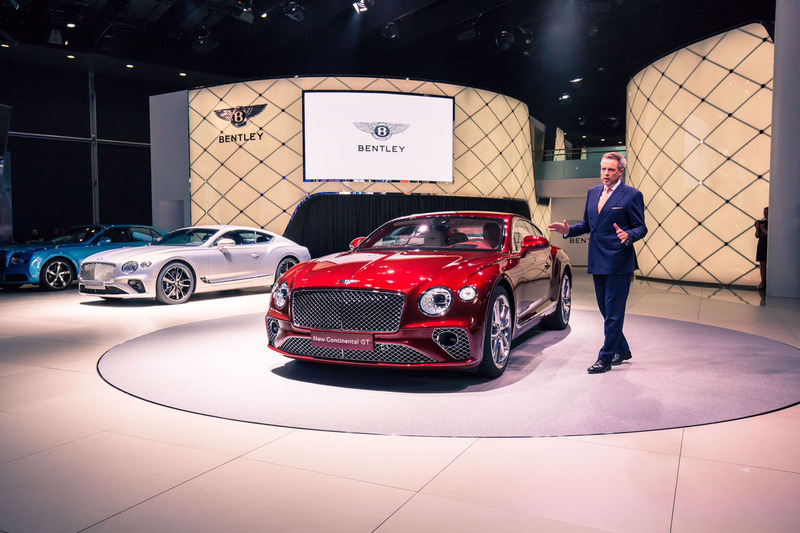 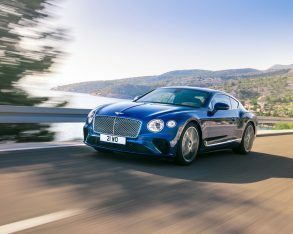 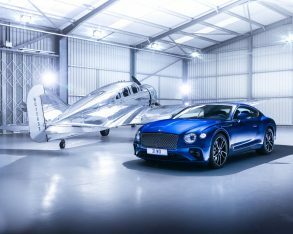 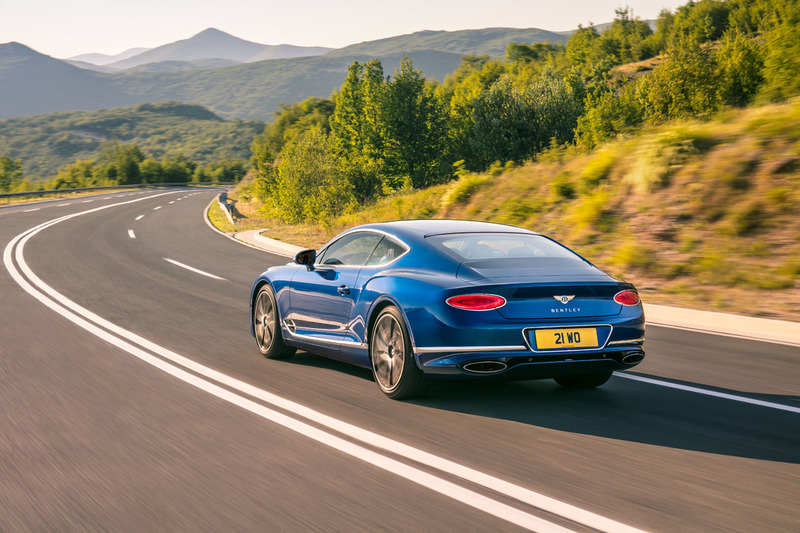 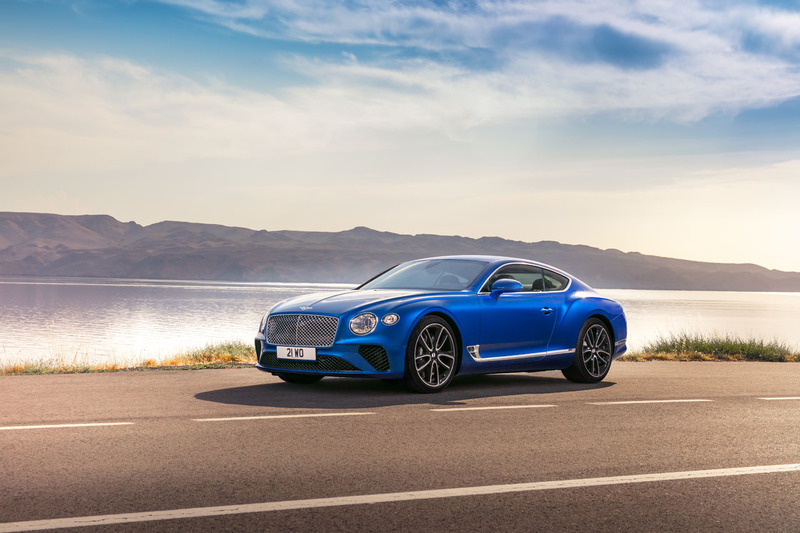 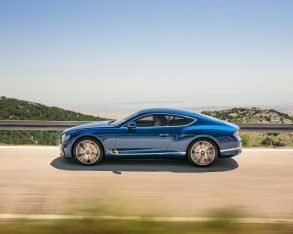 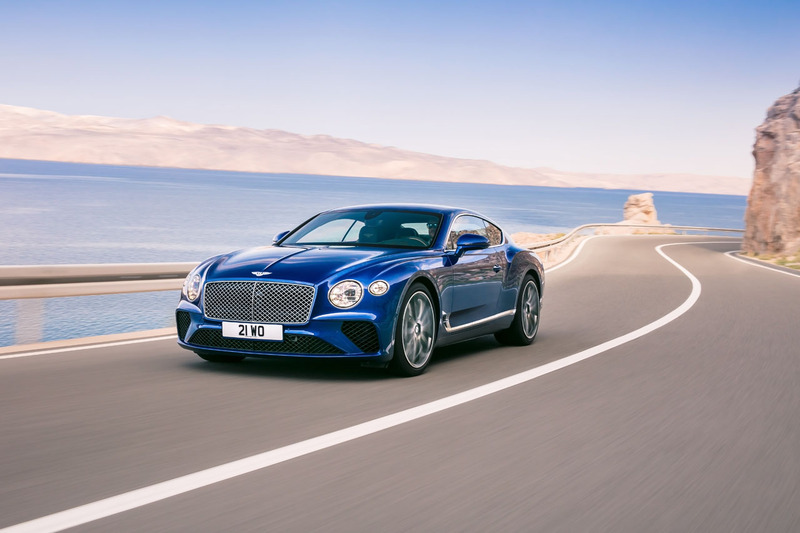 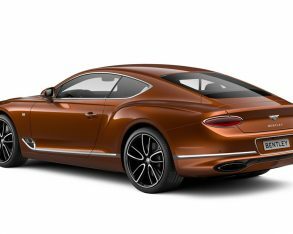 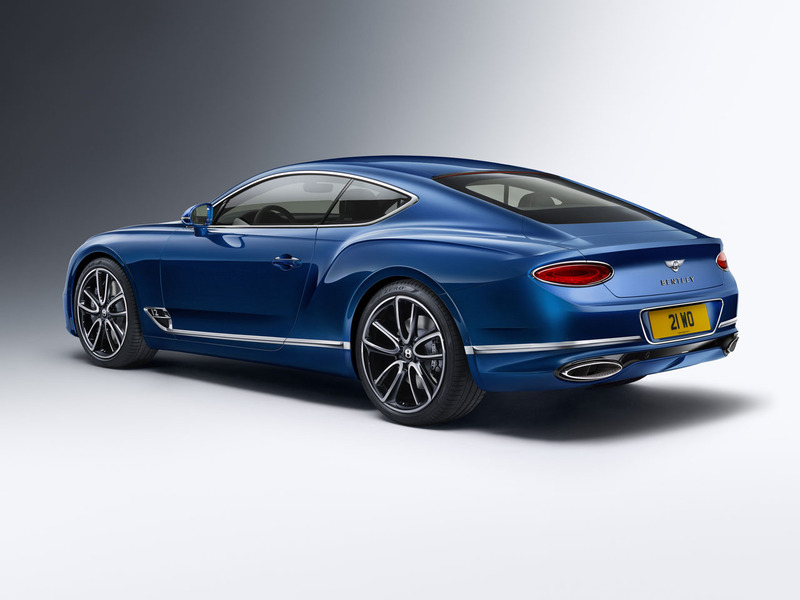 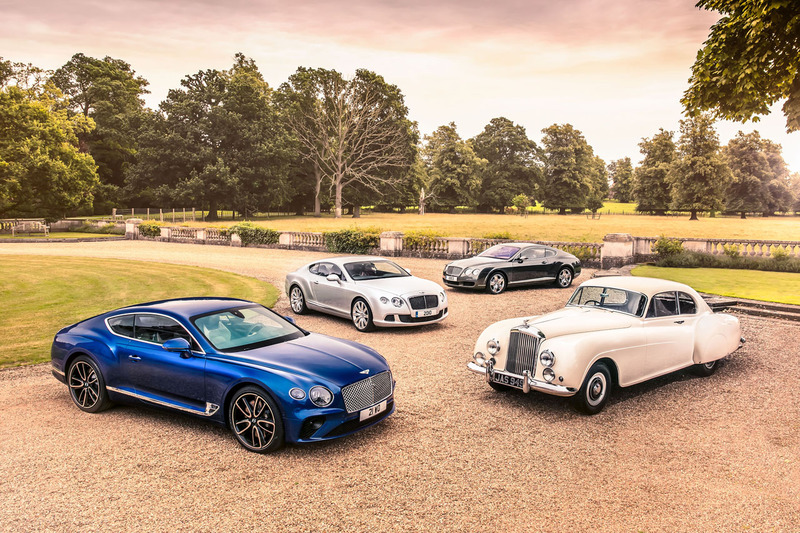 The new 2019 Continental GT will arrive next year with a suggested retail price of $285,681, at which point you’ll be able to decide for yourself if the designers, engineers and artisans at Bentley’s Crewe, England headquarters truly created “the finest Grand Tourer ever produced,” as they set out to do.